In this guide, you will find instructions on how to inflate and set Audi tire pressure to the recommended level. This is necessary if you are getting a warning on the dashboard such as "Underinflated tire, Check all 4 tires and reset TPMS in MMI. Once the pressure has been set to the recommended PSI, now it is time to reset your Audi TPMS light.Follow these instructions to reset Audi tire pressure warning if your car has Multi Media Interface (MMI). Press the START button to power on the car. It is not necessary to start the engine. Press CAR in the center console buttons. You will see a message "If the pressure of all 4 tyres have been checked and adjusted correctly, please store." Select YES and you are done. If the tire pressure cannot be reset, there is a possibility that your Audi Tire Pressure Sensor is either bad or has a dead battery. You will need to replace the defective TPMS sensor before you can reset the TPMS warning. In this case, we are using a portable air compressor to inflate Audi tires. This method can be helpful if you are trying to inflate your Audi tire at home. Park your Audi models in a safe location and set the parking brakes. Open the driver's door and look at the frame or look behind the fuel door. 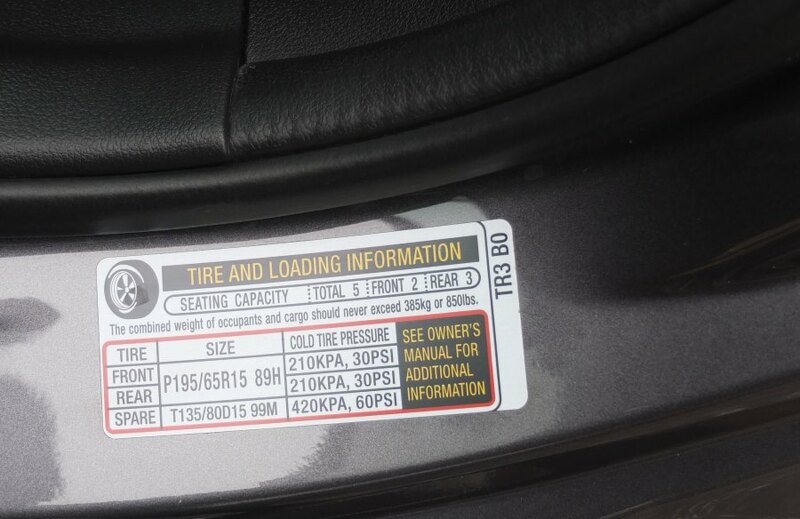 Locate the recommended tire pressure sticker on your Audi. Once you locate the recommended air pressure sticker. Determine the recommended tire pressure for the front and rear tires. Plug the portable air compressor into the cigarette outlet port. Start the car and let it idle. Turn on the air compressor. Add air until the recommended pressure is reached. Typical air pressure for automotive tires is between 32-36 PSI for most cars. About 40-45 PSI for low profile tires. If the tire is hot in other words, you have been driving the vehicle then stop to add air, increase the recommended tire pressure by 3 PSI. Why is my Audi Check Engine Light On?